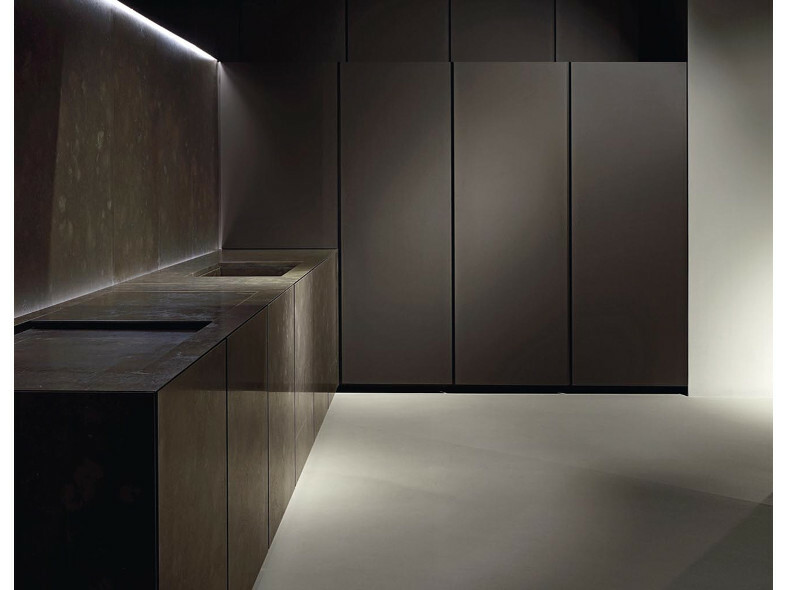 Inca has vertical profiles evoking a rhythm that defines the kitchen space. 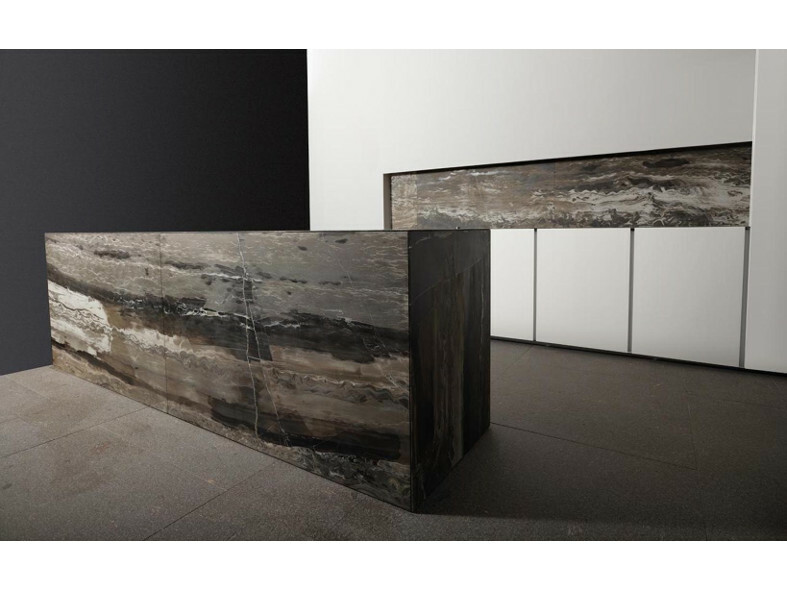 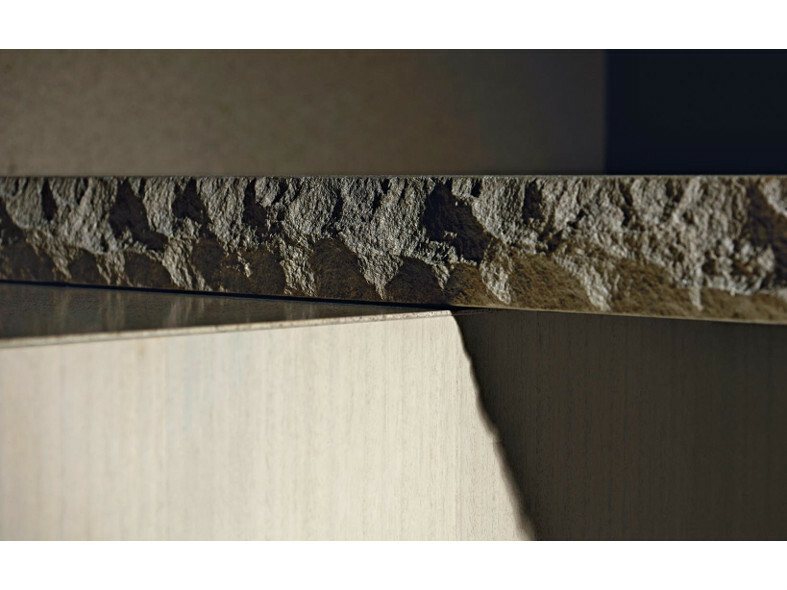 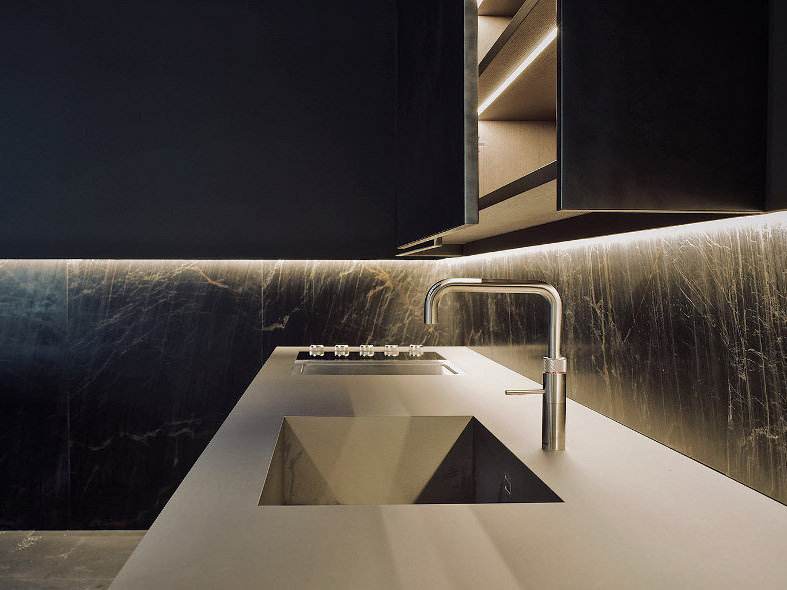 The worktop is hidden behind the doors so that a single horizontal line visually binds the different materials and finishes. 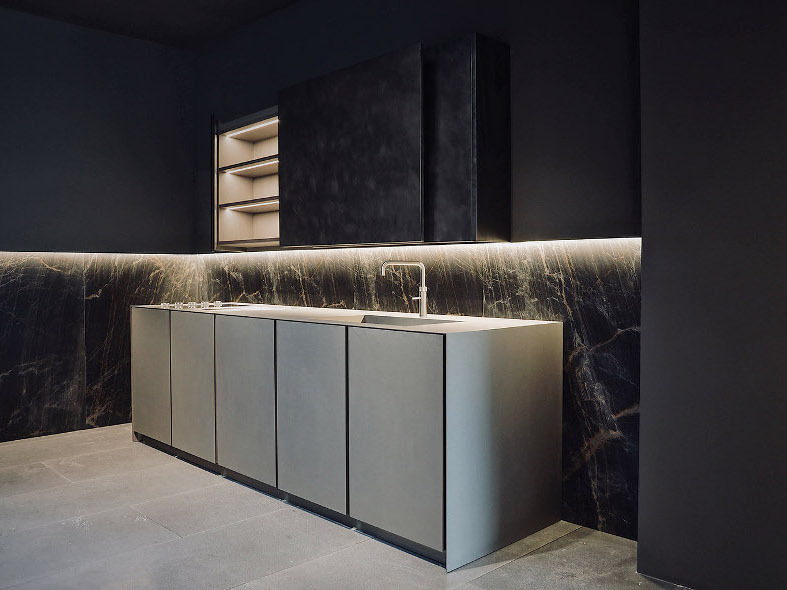 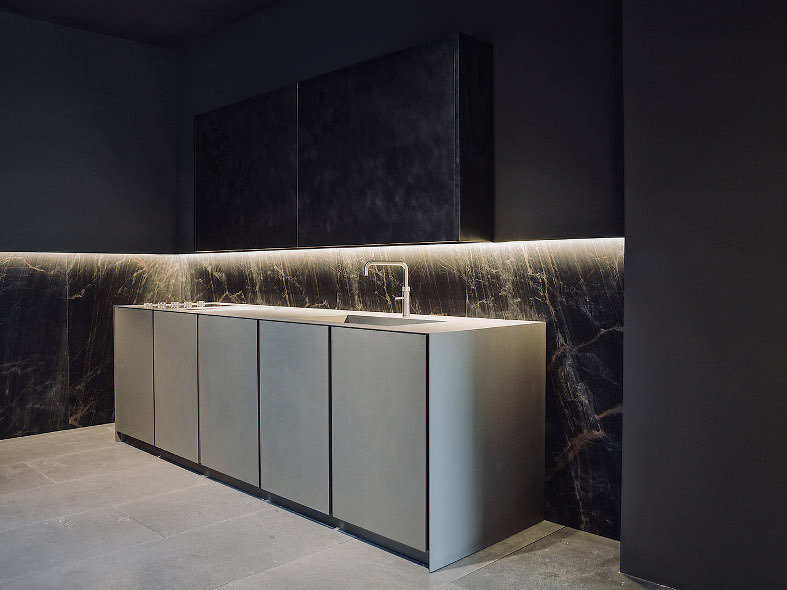 The 45° edge worktop and doors transform the kitchen into a series of connected volumes rather than two dimensional arranged planes. 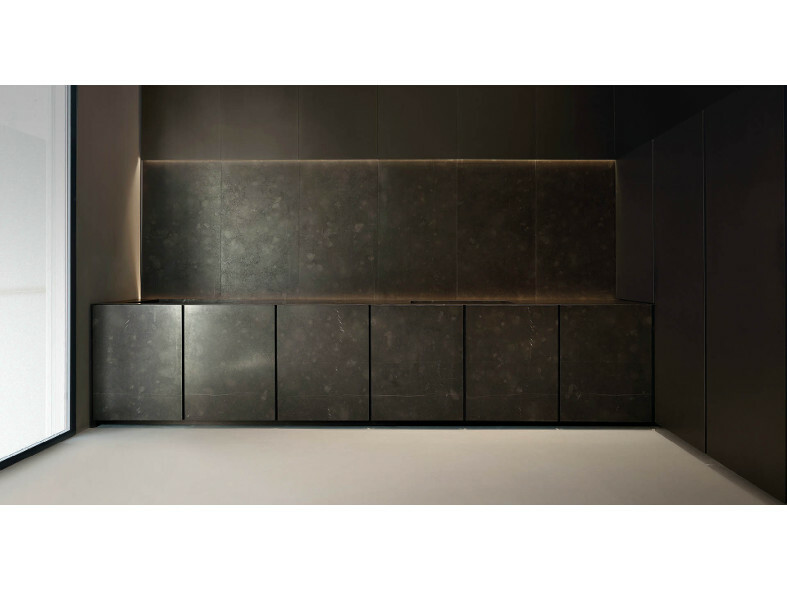 Tall units have the same vertical profiles.